María Helena Antolín Raybaud is director, Vice-chair and member of the Board of Directors of Grupo Antolin. She has a degree in International Business & Business Administration at Eckerd College, St. Petersburg, Florida (USA) and a Master in Business Administration from Anglia University, Cambridge (UK) and the Polytechnic School of Valencia (Spain). She has carried out diverse positions within Grupo Antolin related to quality and excellence strategy, in France, Germany and Italy. 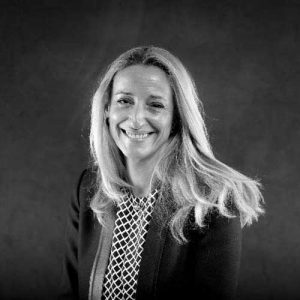 Likewise, she has held the position of general manager of the company Grupo Antolin-IPV in Valencia (Spain), as well as director of Human Resources Development, director of Strategy and Corporate Industrial director of Grupo Antolin. Currently, she is also director of Marketing, Communication and Corporate Affairs of Grupo Antolin. She has carried out other positions as external independent adviser of Iberdrola Renovables, S.A. and member of the Corporate Responsibility Committee of Iberdrola, S.A.
At present, she is also adviser of Iberdrola, S.A. and member of the Nomination Committee; adviser of Foreign Trade of France section Spain (CCE); and member of the Standing Committee of the Excellence in Management Club (CEG). On April 1, 2016, she was appointed President of SERNAUTO, Spanish association of manufacturers of equipment and components for automotive.